As I’m reading up on kayaking spots I’ve run into bear warnings and raccoon warnings, but hornet warnings? 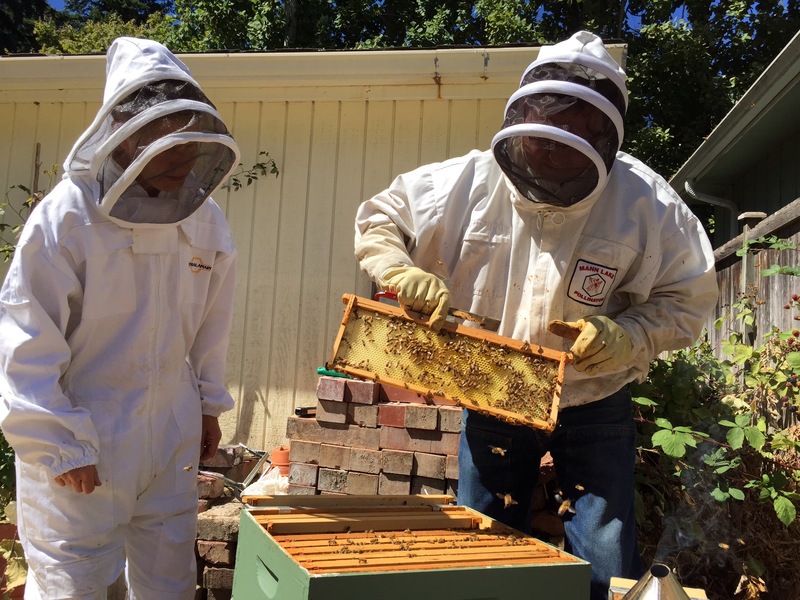 I’m not particularly afraid of bees, have intermittently followed mass bee death headlines, and absolutely love honey. In my search on this danger I was swarmed with information. The bottom line is, cover your sugars and meats and trash, but there is so much more, including timing, smells, colors, and speed of movement. So what’s a wasp or bee anyway? 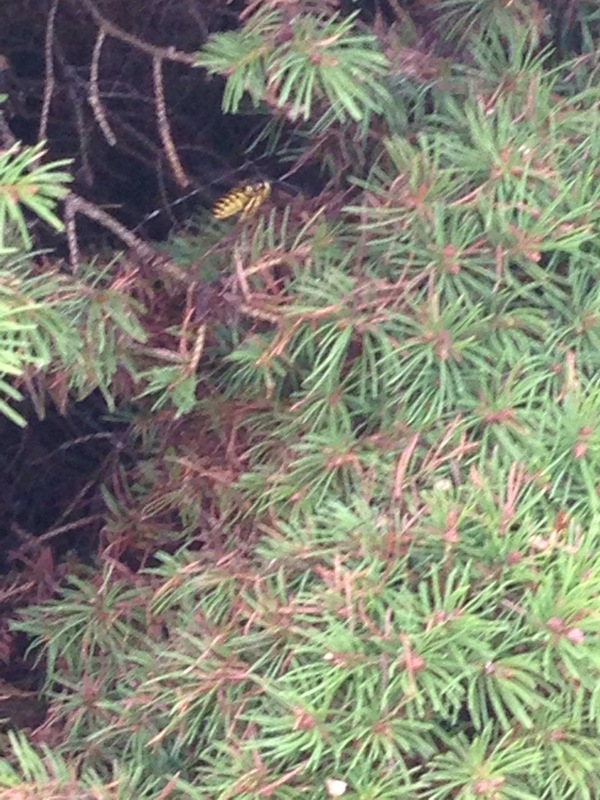 This website says that wasps encompass both yellow jackets and hornets. They have two pairs of wings, can sting you multiple time (if they’re female anyway, since males don’t have stingers, which also differentiates them from having the one female queen bee like honey bees). The aggressive hornet is not native to North America and are supposedly not to the West coast yet . There’s a bald-faced hornet that’s all over the U.S., though it’s not actually a hornet (but is a wasp) and is still more common in the southeast U.S., per wikipedia. I’d like to think of Yellow Jackets as gentlemen, coming to your picnic in a yellow and black pin striped jacket. Apparently, are like striped pirates, brandishing their swords aggressively to get at your food. Once they find food they will do anything to get it, and just like pirates they can keep stinging you. The honey bee is not a wasp. It’s cute in its own fuzzy way but also really important. It does pollinating and honey making. They can sting you, of course, but they’d like to keep their lives and their stingers for other bees, so just like any other wildlife, just leave them alone and you can co-exist. 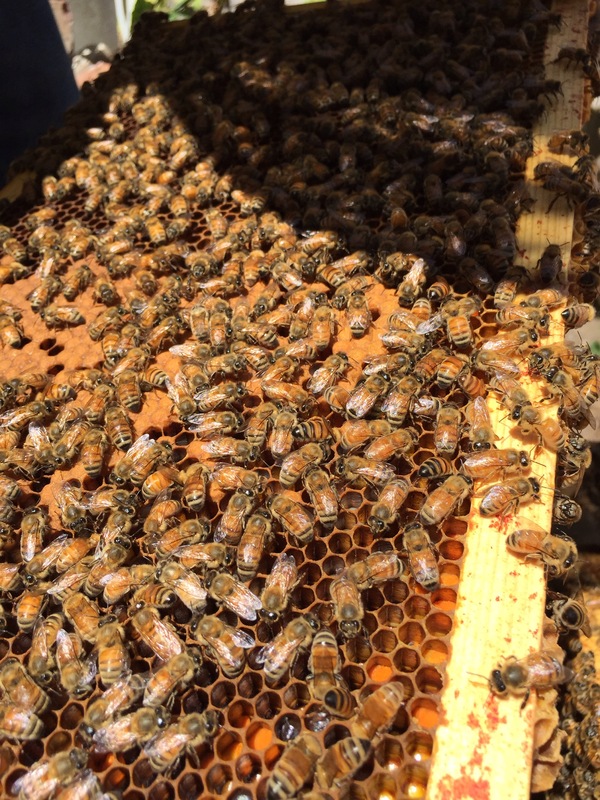 My aunt is keeping honey bees and sent me these great photos. 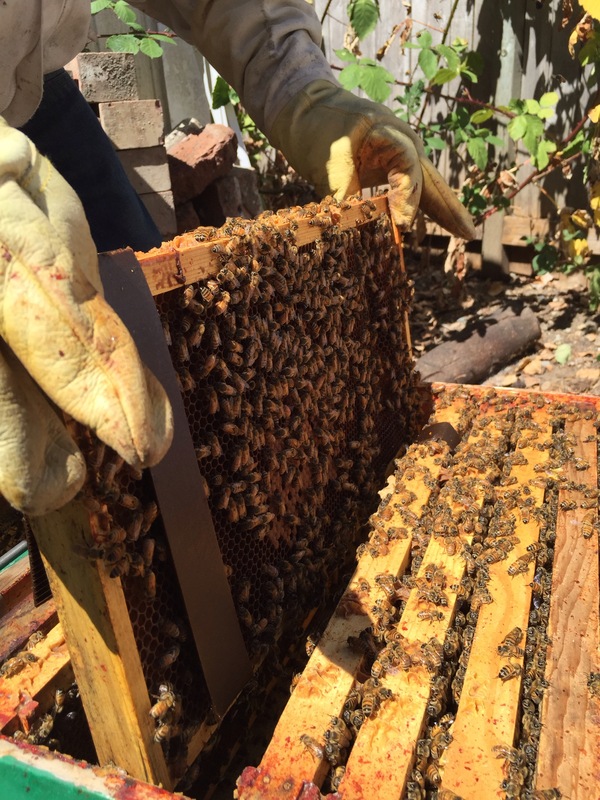 Her instagram is jlworthen and she has an amazing garden (fantastic location for the bees). When it comes to things I don’t like, such as mosquitos and spiders, I try to think of the good they do in the ecosystem. According to a wasp research scientist at the University of Washington Yellow Jackets consume a lot of insects (mostly grubs and caterpillars). They eat ten times their weight! No wonder they come to your picnic! The best way to fend them off your food and beverage is to keep them from finding it at all. Bring out the food when everyone is ready to eat then put everything away as soon as you’re done, including garbage. Check food and drinks as you go for any yellow and black ordouvers. Better yet, cover your beer so you’re not trying to check your can for underage drinkers (they’re less than a year old!). If you found one don’t start wacking at it. If it doesn’t fly away on its own gently wave it away. Closely time bringing food out and getting rid of garbage, but what else? Breakfast vs lunch vs dinner: Early morning and late evening are when they are least active, so perhaps an early breakfast before paddling or a late dinner after a long day when possible. What about time of year? Unfortunately for us picnickers/campers they’re most aggressive in the summer. According to the U.W. there are not as many of the insects they eat and they become desperate to forage (including in garbage). By late summer or autumn they die (except for a queen from each colony and except for one species in the Puget Sound) from starvation or cold. Don’t wear cologne or use scented deodorant, shampoo, sunscreen, etc. Wear light colors, since they’re attracted to bright and dark colors (newspaper source). In a few places I’ve found other recommendations, like use a paper bag as a fake nest to mark your territory. There are commercial fake nests as well, but no hard evidence that I came across. If you get stung by a Wasp realize they don’t leave the stinger so they can sting you again but you also don’t have anything to take out. According to this website you may experience LOCAL burning, itching, redness, and tenderness, or even a large amount of swelling, even if you’re not allergic, and this can go on for a week. Ice and/or ointment can help. If you’re allergic please talk to your doctor about what you should do. If they’re attacking you may be temped to swat at them or sprint away but fast movements can get them more riled up. Try to walk away slowly. Getting inside is obviously best, but if that’s not possible walk into a heavily vegetated area. And since breathing (and looks) can be kind of important, cover your face with your hands (newspaper source). Still want to fight back? Remember they’re part of our world for a reason but as a last resort I’m sure you could fit this disposable wasp trap in your kayak. If you do get one just don’t forget to come back and let me know how it went, since I’ve never used one.